Do you want to become a marriage and family counselor? If you want to help married couples and families who are facing unique interpersonal issues, becoming a family counselor could be a rewarding career. As a marriage and family counselor, you will help families cope with psychological distress and also diagnose mental illness. 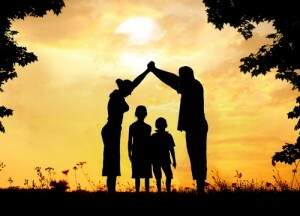 You can provide a wide range of different counseling services to families and married couples and domestic partners with their own unique family system. In addition to these roles, a family counselor may also help people develop new communications skills in an effort to improve their family relationships. If this career sounds promising and fulfilling to you, here is your guide to becoming a family counselor. If you want to practice in any state as a counselor who deals specifically with families, you will be required to earn your license and maintain it. In order to earn your license, you will be required to complete a formal education program. Every state has its own unique licensing requirements that pertain to licensing counseling professionals. While state requirements can vary, according to the American Association for Marriage and Family Therapy, all candidates should a complete a minimum of a Master’s in Counseling degree. In addition to attaining a master’s degree, individuals will also need to gain clinical experience in a supervised setting. Prospective therapists who complete a master’s and a fellowship should meet any state’s licensing requirements. After you complete the educational and clinical experience requirements, you will need to get licensed before you can practice. To get licensed, you must meet the credit requirements, clinical hours requirements and pass a nationally recognized Marriage and Family Therapy exam that tests your competency in the field. In some states, rather than sitting for a national exam, you may have the option to apply for certification with the National Board for Certified Counselors. In these states, the credential is accepted in place of a license. Be aware that you will need to meet the continuing education requirements set by the AAMFT if you have a state professional license or if you are certified. This shows that you have kept up with changes in Marriage and Family Therapy. What is the Job Outlook in Family Therapy? Now that you know what you must do to become a Marriage and Family counselor, you need to decide if you are willing to spend six to eight years studying to earn your degree. You will be happy to hear that the job outlook in Family Therapy is positive, with the Bureau of Labor Statistics projecting growth of up to 37% over the next 10 years. This means that there will be a number of available positions by the time that you graduate and earn your license. A family therapist can help resolve marital problems or conflicts that may arise in a common family. If you want to pursue a career in family therapy, the first step is earning your degree. Choose a family counseling or social worker degree program, and then move on to gaining hands-on experience. Equipped with information on how to become a marriage and family counselor, you can map out your path.